When it comes to your child's health, you want to do everything possible to make sure your son or daughter is getting the nutrients essential to healthy growth and development. Omega-3s are important to the health of people of all ages, especially children. It can be difficult to get your child to eat the foods that offer high levels of omega-3s, however. 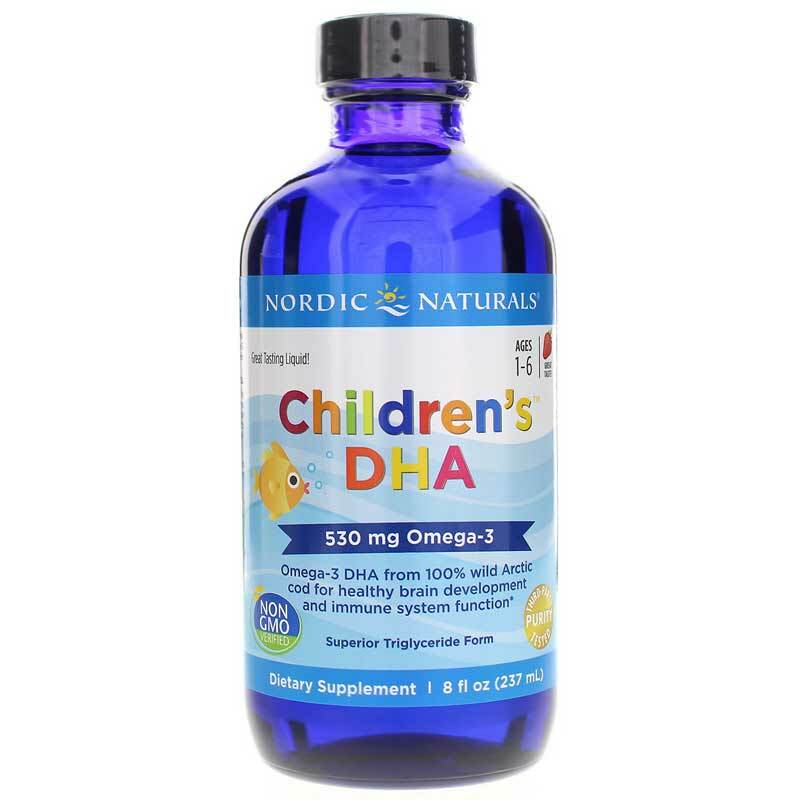 Nordic Naturals solves that problem by offering Children's DHA, an all-natural, omega-3 liquid that tastes great and supports your child's growth, development, and overall health. Tested to be free of detectable levels of heavy metal contaminants, as well as PCBs and dioxins, Children's DHA from Nordic Naturals is the ideal way to enhance your child's health in a great-tasting and easy-to-use way. Give Children's DHA a try today! Children 1-6 years: One-half teaspoon daily, with food, or as directed by your healthcare professional or pharmacist. Refrigerate after opening. Best if used within 3 months of opening. Consult our physician before using this product if you are allergic to iodine, using blood thinners, or anticipate surgery. Keep out of the reach of children. If you are pregnant or nursing, please consult your healthcare professional before using this product. order several times a month & always happy!! Fast delivery. Cap is seal with protective wrapper. Boys are happy.